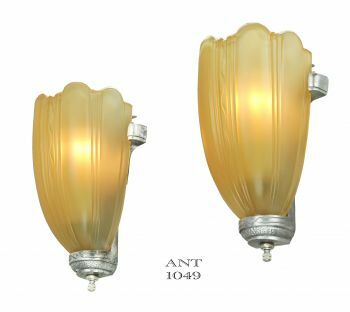 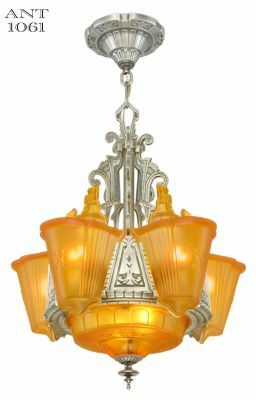 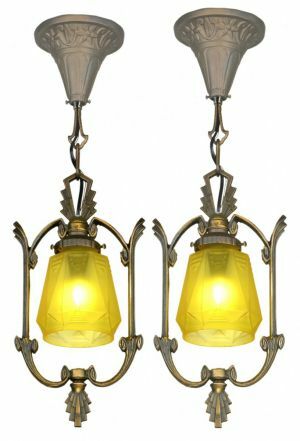 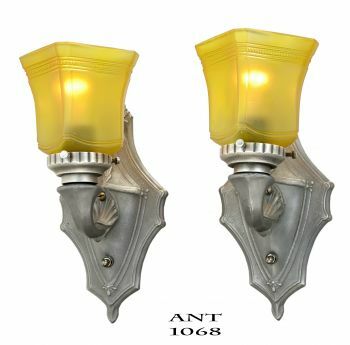 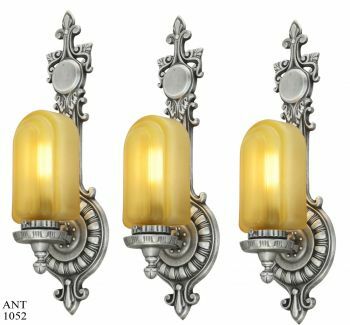 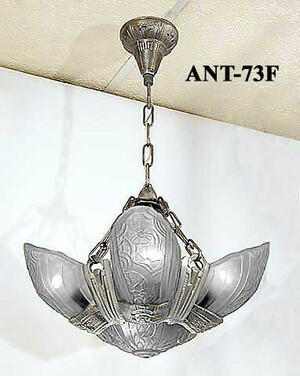 ANT-73F is a restored aluminum 6 light antique chandelier by Lincoln.There is a extra light socket in the bottom shade. 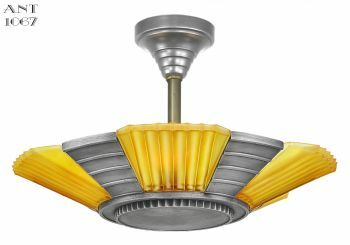 Aluminum and zinc were the foundry metals of choice for Lincoln for all of their Art Deco lights of the period. 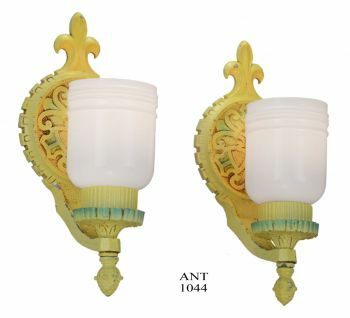 Some restoration and re-wiring has been done to bring them all up to UL standards.All are supplied with either old or new mounting supplies.Shades are replacements. 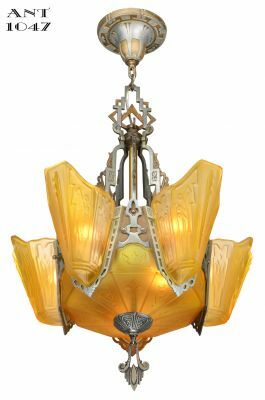 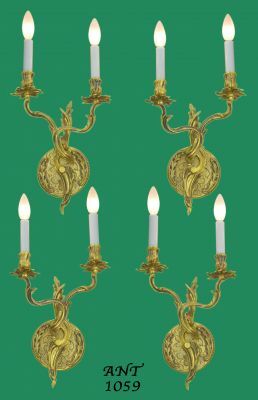 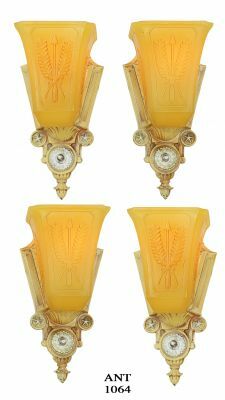 Thisseries was named Fleurette, Made by Lincoln Mnfg, of Detroit, Mich.about 1935.In the series, there were four light types.They were: a five light chandelier; a six light chandelier with a glass bottom (like this one); a two light hall fixture and sconces.We were lucky to get 3 out of the four types and are offering them until they are sold out. 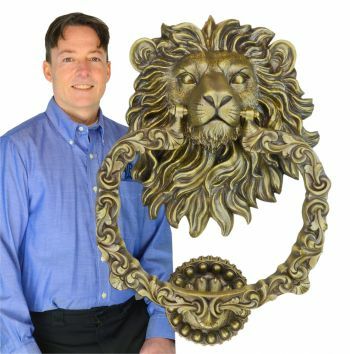 All proceeds will go to museum expansion and maintenance. 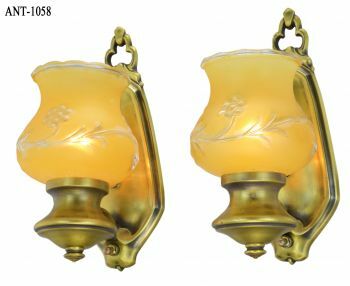 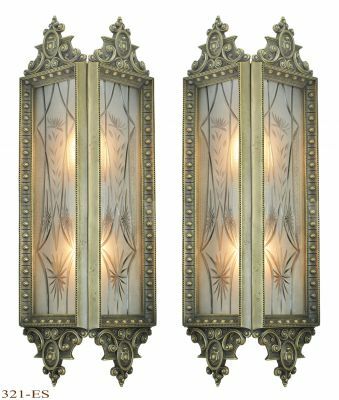 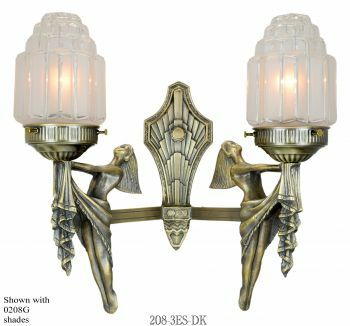 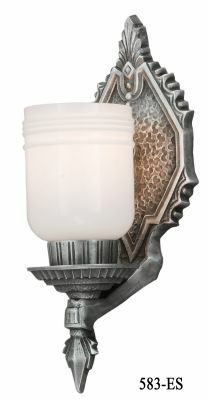 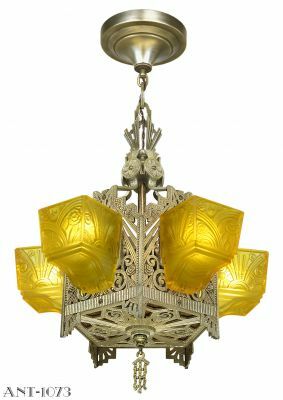 The lovely embossed frosted shades lift out of this fixture with ease. 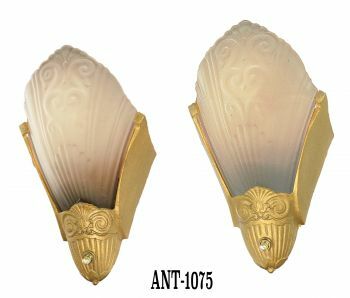 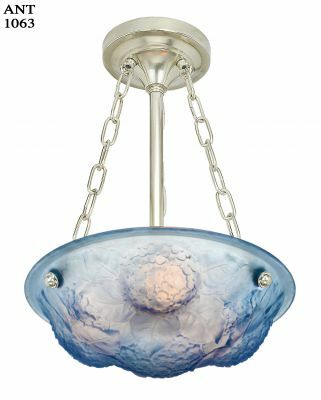 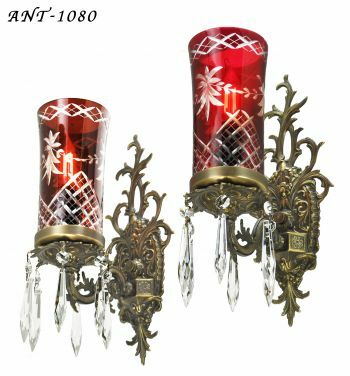 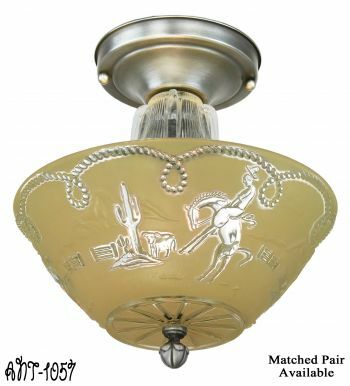 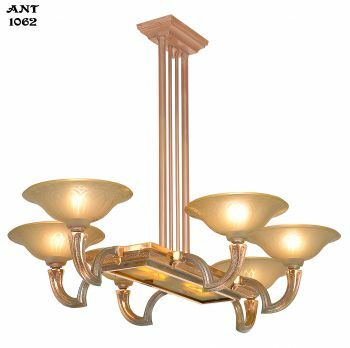 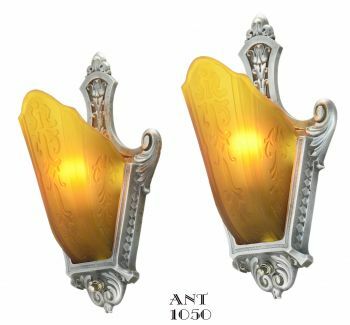 ANT-73FAntique Chandelier complete as shownwith frosted shades-no bottom shade separate switch. 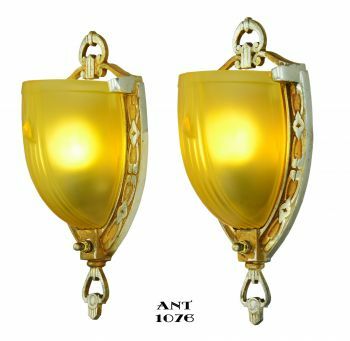 ANT-73FSWWe can, if desired, re-wire this for 2 circuit operation having the bottom shade act as a night light. 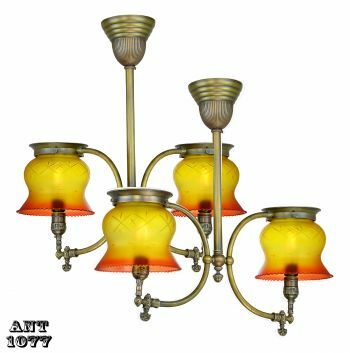 Antique Chandelier complete as shown with frosted shades & a 2 circuit switch. 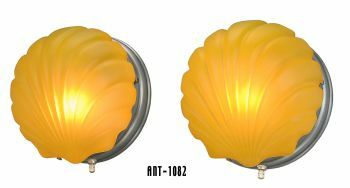 Use the drop down menu to specify which you prefer. 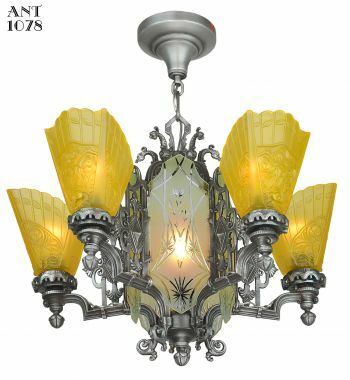 and we invoice for actual shipping charges. 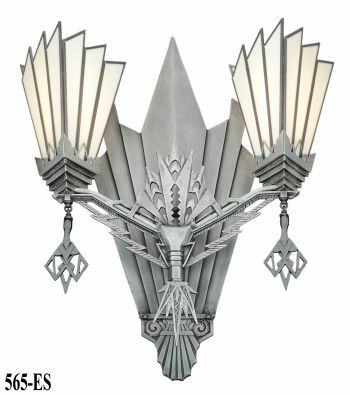 The overall height of the light is 27 inches but it could be reduced to 20 inches by removing links of stem chain and/or it could be lengthened to between the 27 inches, it is now, and about 50 inches by adding more chain since we left additional stem wire in case you wished to do this. 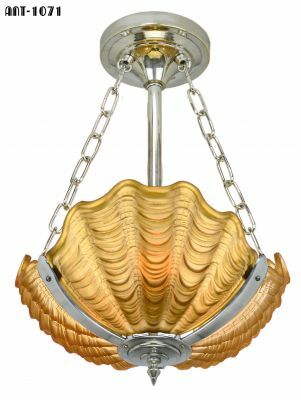 It has a diameter of about 17 inches.